Micropore Tape – how useful can it be? Okay so some of you may be wondering what I am talking about? Microporous tape, isn’t that the stuff you use to tape up bandages? Well yes it is and that is what it is normally used for but it can be incredibly useful for archers and worth some space in a pocket or your quiver. Granted it’s not quite at the level of duct tape but here are 9 examples of how I have used in the past. Temporary fixes – equipment can fail from time to time, no matter how well you look after it. A friend when shooting at the national championships had the serving unravel on her longbow. She tried tying it but this didn’t work so at a coffee stop we added a small piece tape to secure the serving and all was well for the rest of the day. 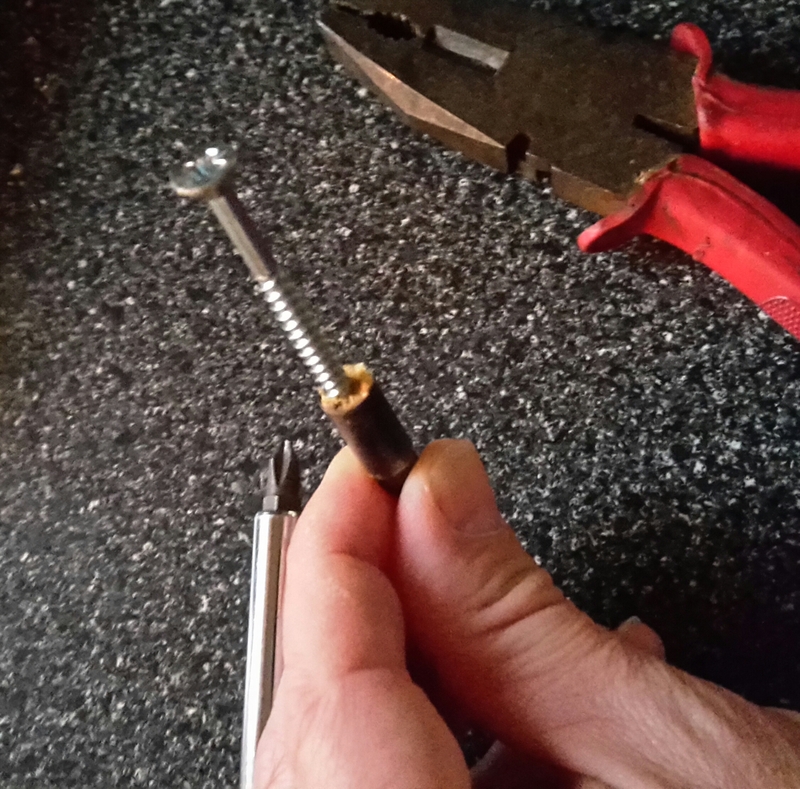 Temporary nocking point – I have used tape time and time again when setting up beginners bows, or trying to fine tune a suitable nocking point on a new string. Complying with the rules – I was at one shoot last year, with an archer shooting in a compound class. They had been setting up their bow the day before and fitted a spirit level bubble for checking they were shooting it level. These aren’t allowed in the competition rules so we stuck a piece of tape over the bubble to hide it for the day, rather than trying to dismantle the mounting unit. Preventing carbon splinters – I think this is potentially the most useful of the non-normal uses for the tape and is good for all archers to know whether they shoot carbon arrows or not. When carbon arrows break it can result in very sharp splinters (splinters that aren’t picked up in x-rays and can be very hard to extract).I find it is amazing how few people realise the potential issues of getting these in your skin. If I find a broken carbon arrow I will wrap tape round the end and down the shaft if required, so protecting myself from any splinters, before putting in my quiver for disposal later. Protect your bow from scratches – I use a piece of tape to cover my wedding ring so it doesn’t scratch the handle of the bow. This has kind of become a bit of a ritual of mine when getting ready to go out shooting. Saving your marriage – What? Okay so I need to explain this one in more detail. In cold weather my wedding ring can be a little lose on my finger and I’ve nearly lost it in the past when out in the snow, so I wrap a piece of tape over it to keep it secured. Protecting your fellow archers’ modesty – last year when attending a shoot Sharon had what could be described as a wardrobe malfunction. Whilst stepping over a fallen tree across the path, her trousers ripped. To save her modesty a few pieces or tape were used to secure the trousers in place. Oh course she finished the shoot and you can read about it here. Impromptu arm sleeve – on a cold and rainy day an archer wore a coat over his normal shooting gear. Problem was his bow string kept catching on his coat. Couple of strips of tape helped hold it out of the way. First aid – well it was what it was designed for after all and it does well at holding plasters on or securing a bandage. Thought those of you, who like me shoot wooden arrows and sometimes have the misfortune to break the pile off might find this a useful tip. No pun intended. Quite often I find my arrows break directly behind the pile, leaving a small piece of wood inside the pile which can be difficult to remove especially if you want to reuse the pile. I know some people drill the wood out and others simply throw away the pile. Well I thought I would show how I remove the broken piece of wood. First stage is to carefully take the screw and screw it into the wood still in the pile. Once the screw is secured in the wood, you need to heat the pile up as this breaks down the glue securing the wood to the pile. 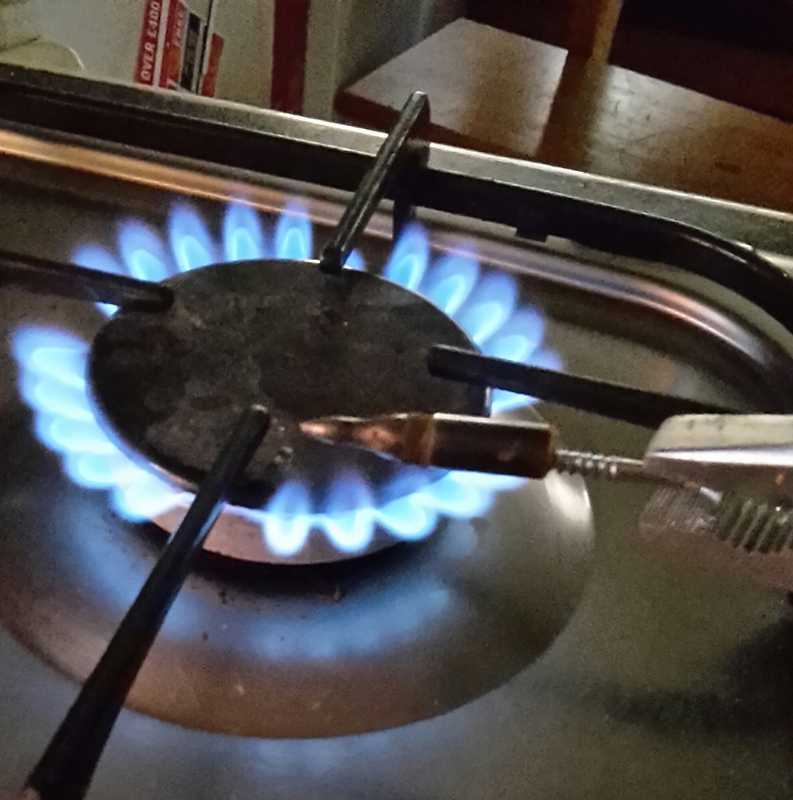 Holding it by the screw you can heat the pile using the gas ring. It should only take 10-20 seconds. I usually use screw on piles, but if you have taper fit or parrell fit you can have the piles pop off as the glue and gases in the glue expand under the heat. The other thing to be careful of is to not let the wood burn as this will not only smoke the kitchen out possibly triggering a smoke detector but also make it harder to remove the wood. It’s worth doing this in a well ventilated room as the glue can stinks, especially the two part epoxy I use. How long you keep it in the flame will vary depending on the glue. Hot melt, melts quickly whilst some epoxy ones might take 20 seconds. It’s a bit of trial and error here. 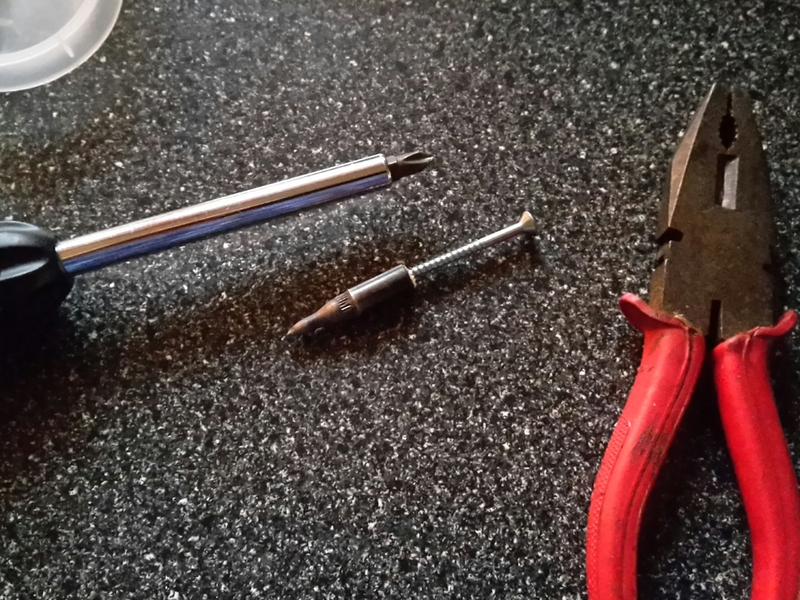 Holding the now heated pile in the pliers (don’t grab it with your hand as it will be hot) take the screw driver and continue to screw the screw into the wood. You should find that because the glue has melted and lost adhesion to the pile the screw will force the wood free. Resulting in the wood remaining on the screw and free of the pile. Drop the pile and screw into a pot of cold water to cool. Once cool you can dry the pile. You might need to clean out the inside of the pile of glue residue with a bit of wire wool or I find an old shaft tapered down and screwed in and out a couple of times works well to dislodge any residue. 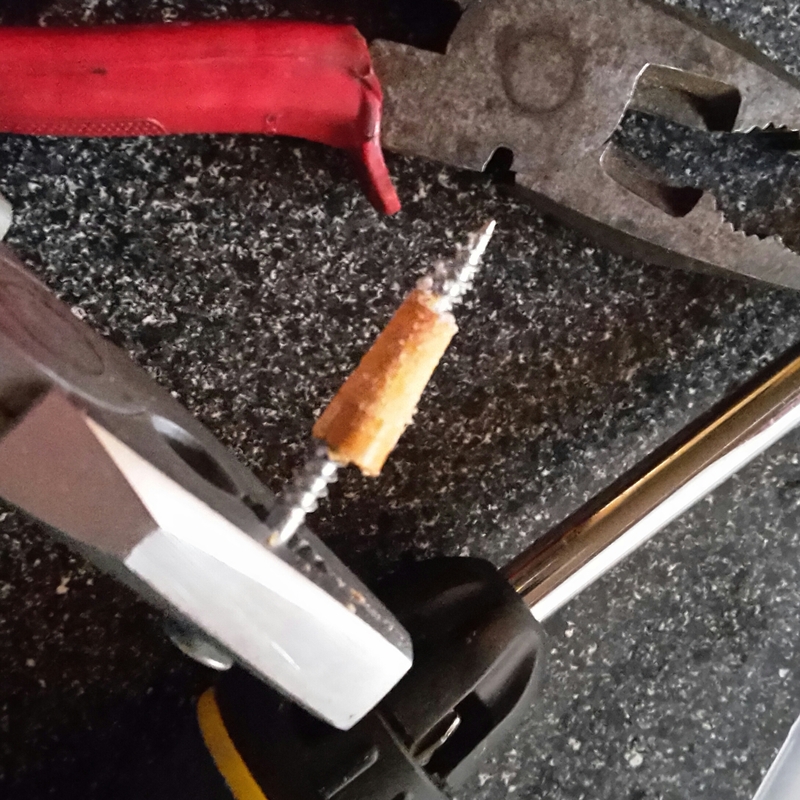 The easiest way to remove the wood from the screw is to hold the wood in the pliers and then using the screw driver “unscrew” it.